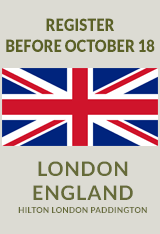 Longitudinal data are critical for understanding how individuals change across time. Researchers are faced with a complex task when modeling the contexts in which longitudinal processes unfold. Modeling Contextual Effects in Longitudinal Studies reviews the challenges and alternative approaches to modeling these influences and provides methodologies and data analytic strategies for behavioral and social science researchers. Lee, J., Little, T. D., & Preacher, K.J. (2010). Partial factorial invariance in crosscultural research. In E. Davidov, P. Schmidt & J. Billiet (Eds. ), Cross-cultural data analysis: Methods and applications. New York: Guilford press. Structural equation modeling (SEM) has been suggested as a single, integrated framework for testing cross-cultural group differences. Recently, particular forms of SEM have been widely used to detect the items that function differently for different groups (i.e., differential item functioning; DIF). Accordingly, the primary goal of this chapter is to discuss some methodological issues that may arise when researchers conduct SEM-based DIF analysis. Little, T. D. (2013). Longitudinal Structural Equation Modeling. New York: Guilford press. Featuring actual datasets as illustrative examples, this book reveals numerous ways to apply structural equation modeling (SEM) to any repeated-measures study. Initial chapters lay the groundwork for modeling a longitudinal change process, from measurement, design, and specification issues to model evaluation and interpretation. Covering both big-picture ideas and technical “how-to-do-it” details, the author deftly walks through when and how to use longitudinal confirmatory factor analysis, longitudinal panel models (including the multiple-group case), multilevel models, growth curve models, and complex factor models, as well as models for mediation and moderation. User-friendly features include equation boxes that clearly explain the elements in every equation, end-of-chapter glossaries, and annotated suggestions for further reading. 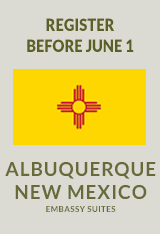 The companion website https://www.depts.ttu.edu/immap/Books.php provides datasets for all of the examples. My wish is for ready adoption of methodological advances without fear of reviewer resistance or worry over the complexity of it all. In my article, I discuss the inherent problems and impediments to ready adoption and I offer a number of concrete suggestions to mitigate the current state of practice. My article is grounded on the idea that the intricacy of modern methods and their corresponding questions must be embraced if policy and practice are to be truly served. Inadequate findings derived from status-quo methods propagate mis-information and beget adoption of bad policy and practice—thereby undermining our obligations as stewards of social justice. There is an explosion of interest in Bayesian statistics, primarily because recently created computational methods have finally made Bayesian analysis obtainable to a wide audience. 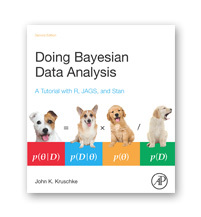 Doing Bayesian Data Analysis: A Tutorial with R, JAGS, and Stan provides an accessible approach to Bayesian data analysis, as material is explained clearly with concrete examples. The book begins with the basics, including essential concepts of probability and random sampling, and gradually progresses to advanced hierarchical modeling methods for realistic data. Included are step-by-step instructions on how to conduct Bayesian data analyses in the popular and free software R and WinBugs. This book is intended for first-year graduate students or advanced undergraduates. It provides a bridge between undergraduate training and modern Bayesian methods for data analysis, which is becoming the accepted research standard. Knowledge of algebra and basic calculus is a prerequisite. 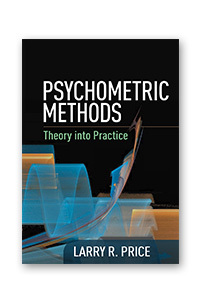 Grounded in current knowledge and professional practice, this book provides up-to-date coverage of psychometric theory, methods, and interpretation of results. Essential topics include measurement and statistical concepts, scaling models, test design and development, reliability, validity, factor analysis, item response theory, and generalizability theory. Also addressed are norming and test equating, topics not typically covered in traditional psychometrics texts. Examples drawn from a dataset on intelligence testing are used throughout the book, elucidating the assumptions underlying particular methods and providing SPSS (or alternative) syntax for conducting analyses. 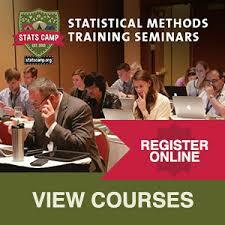 The companion website presents datasets for all examples as well as PowerPoints of figures and key concepts. Pedagogical features include equation boxes with English translations of all statistical notation and end-of-chapter glossaries. The Appendix offers extensions of the topical chapters with example source code from SAS, SPSS, IRTPRO, BILOG-MG, PARSCALE, TESTFACT, and DIMTEST. This practical introduction helps readers apply multilevel techniques to their research. Noted as an accessible introduction, the book also includes advanced extensions, making it useful as both an introduction and as a reference to students, researchers, and methodologists. Basic models and examples are discussed in non-technical terms with an emphasis on understanding the methodological and statistical issues involved in using these models. The estimation and interpretation of multilevel models is demonstrated using realistic examples from various disciplines. For example, readers will find data sets on stress in hospitals, GPA scores, survey responses, street safety, epilepsy, divorce, and sociometric scores, to name a few. The data sets are available on the website in SPSS, HLM, MLwiN, LISREL and/or Mplus files. 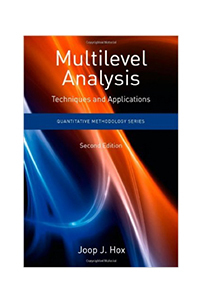 Readers are introduced to both the multilevel regression model and multilevel structural models. 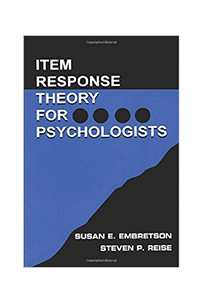 This book develops an intuitive understanding of Item Response Theory (IRT) principles through the use of graphical displays and analogies to familiar psychological principles. It surveys contemporary IRT models, estimation methods, and computer programs. Polytomous IRT models are given central coverage since many psychological tests use rating scales. Ideal for clinical, industrial, counseling, educational, and behavioral medicine professionals and students familiar with classical testing principles, exposure to material covered in first-year graduate statistics courses is helpful. All symbols and equations are thoroughly explained verbally and graphically. Research today demands the application of sophisticated and powerful research tools. Fulfilling this need, The Oxford Handbook of Quantitative Methods is the complete tool box to deliver the most valid and generalizable answers to today’s complex research questions. 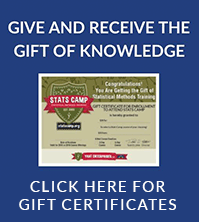 It is a one-stop source for learning and reviewing current best-practices in quantitative methods as practiced in the social, behavioral, and educational sciences. 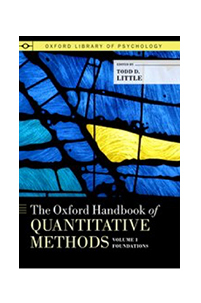 Comprising two volumes, this handbook covers a wealth of topics related to quantitative research methods. It begins with essential philosophical and ethical issues related to science and quantitative research. It then addresses core measurement topics before delving into the design of studies. Principal issues related to modern estimation and mathematical modeling are also detailed. Topics in the handbook then segway into the realm of statistical inference and modeling with chapters dedicated to classical approaches as well as modern latent variable approaches. Numerous chapters associated with longitudinal data and more specialized techniques round out this broad selection of topics. Comprehensive, authoritative, and user-friendly, this two-volume set will be an indispensable resource for serious researchers across the social, behavioral, and educational sciences. Growth models are among the core methods for analyzing how and when people change. 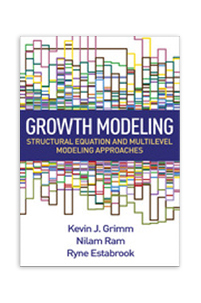 Discussing both structural equation and multilevel modeling approaches, this book leads readers step by step through applying each model to longitudinal data to answer particular research questions. It demonstrates cutting-edge ways to describe linear and nonlinear change patterns, examine within-person and between-person differences in change, study change in latent variables, identify leading and lagging indicators of change, evaluate co-occurring patterns of change across multiple variables, and more. User-friendly features include real data examples, code (for Mplus or NLMIXED in SAS, and OpenMx or nlme in R), discussion of the output, and interpretation of each model’s results. Walking readers step by step through complex concepts, this book translates missing data techniques into something that applied researchers and graduate students can understand and utilize in their own research. Enders explains the rationale and procedural details for maximum likelihood estimation, Bayesian estimation, multiple imputation, and models for handling missing not at random (MNAR) data. Easy-to-follow examples and small simulated data sets illustrate the techniques and clarify the underlying principles. The companion website (www.appliedmissingdata.com) includes data files and syntax for the examples in the book as well as up-to-date information on software. The book is accessible to substantive researchers while providing a level of detail that will satisfy quantitative specialists. Offering pragmatic guidance for planning and conducting a meta-analytic review, this book is written in an engaging, nontechnical style that makes it ideal for graduate course use or self-study. The author shows how to identify questions that can be answered using meta-analysis, retrieve both published and unpublished studies, create a coding manual, use traditional and unique effect size indices, and write a meta-analytic review. An ongoing example illustrates meta-analytic techniques. 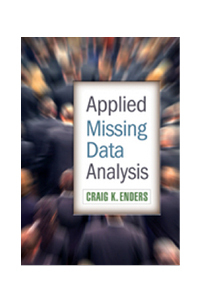 In addition to the fundamentals, the book discusses more advanced topics, such as artifact correction, random- and mixed-effects models, structural equation representations, and multivariate procedures. 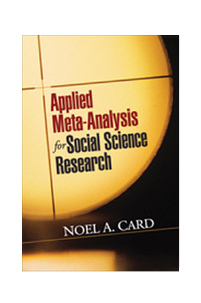 User-friendly features include annotated equations; discussions of alternative approaches; and “Practical Matters” sections that give advice on topics not often discussed in other books, such as linking meta-analytic results with theory and the utility of meta-analysis software programs. This title is part of the Methodology in the Social Sciences Series, edited by Todd D. Little, PhD.